What are Good Comics For a Newbie to Read? As I’ve made no secret of my love for comic books, a friend of mine who has been enjoying the latest string of comic book movies asked if I had any recommendations for comics/trade paperbacks that a “comic newbie” (i.e. someone who doesn’t know the billion years of backstory that have accumulated over time in the comic worlds) might read. The Watchmen : Written by Alan Moore and considered to be one of the best graphic novels/comic books of all time, it’s a fascinating look at how the world might have played out differently had super-powered beings and costumed heroes existed. And, heck, they made it into a movie too! Warning: it is a little disturbingly dark. V for Vendetta : Another one by Alan Moore that was also turned into a movie, this is about a 1984-esque dystopia run by an all-seeing, all-powerful government and how an anarchist-minded terrorist could bring it all down. 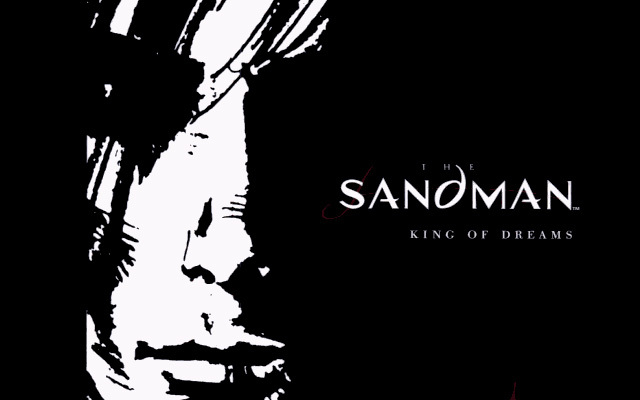 The Sandman : This beloved series is by fan-favorite Neil Gaiman and while I’ve only linked to the first volume, if you have any love of the medium and want something more than just a superhero slug-fest, you have to read the entire collection. Its poignant and beautiful all at once. DC: The New Frontier : This set of stories (of which I’ve only linked to the first volume) is a favorite of mine, not only because it touches a huge swath of DC comics superheroes, but because I am a huge fan of the deco-style art. The first story may leave you a little confused (it doesn’t star any prominent DC superheroes), but read on: its an important setup and helps the story span a few decades! Batman: The Long Halloween : This is one of the quintessential Batman stories, where you get a taste not only of the richness of Batman’s “Rogues Gallery” but also his ongoing war with the Gotham mob. Batman: Year One : Frank Miller is very hit-or-miss with me, but there’s no doubt in my mind that he had a solid hit with this one. Its probably the quintessential origin story – and its probably *the* comic which pushed DC’s depiction of Batman towards the grim-and-grittier version that you’ve seen Christian Bale play. Gotham Central : Gotham Central was one of my favorite comic runs ever. Written by two of my favorite comic writers (Ed Brubaker and Greg Rucka), it stepped into the shoes of the police officers who operate in Gotham, home of the Batman, and goes over the difficulties of operating in a city with a vigilante and his Rogues Gallery. Very unique vantage point for character development and for seeing a different side of Batman and his world. I’ve linked to the first volume, but I’d recommend reading the entire series. Kingdom Come : This is a “what if” storyline which provides some interesting commentary about the role of heroism in society. Set several decades into the future, it shows what happens with a world which has seemed to move past the morals of the DC superheroes we all know and love. And, unlike your traditional inked-and-penciled art, Kingdom Come was all about Alex Ross’s gorgeous painted scenes. This book is especially significant for me as it was the first trade paperback I ever bought! Marvels : This is another set of stories illustrated with Alex Ross’s paintings, but it takes you on a crash course through Marvel Comics history. Like with Gotham Central, instead of seeing the world through the lens of a main character/superhero, this is told from the perspective of a photographer (and hence, the “common man”) who grows up from photo-kid to photography veteran. The Ultimates : Like with Kingdom Come, this is another “what if” storyline which takes a look at what the Avengers, Marvel Comic’s superhero team, might look like in today’s world as a government sponsored superhero group. Full of modern references and gorgeous art from Bryan Hitch and some interesting twists on the traditional Marvel comics, this one is definitely worth a once-over. New X-Men : I’ve mentioned Grant Morrison on this blog before, but in addition to being a weird, bald Scottish guy, in a single run he helped to redefine the status quo of the X-Men. Mr. Morrison’s efforts made the character of Emma Frost one of the X-men “regulars”, and unlike many of his predecessors in the 1990s, he was focused quite a bit less on arbitrary mutant-phobia as he was on what it truly meant to have a large population of another species co-existing with humans. Very interesting run and, if you want to dive into some of the richer tapestry of comics, this is a good one to dive deeper into. Go Sandman!!!! That’s the comic that got me interested in comics… then I read Watchmen for an English class in college, and that was that! I like your comment about arbitrary mutant-phobia. Never made any sense to me that mutants are so hated yet the FF and Avengers are so venerated in the Marvel universe. I would probably add Barry Ween, Scott Pilgrim, and a handful of other indie comics on there. Solid list overall though. I’d probably nix Marvels and 1602 for a few others… Superman for All Seasons and Daredevil Yellow come to mind.